Music Performance featuring Rique Pantoja, Marcos Ariel, and Justo Almario. 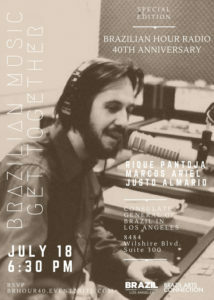 Please join us for an exhibit showcasing photos, artifacts, memorabilia, and film in honor of the 40th Anniversary ofthe Brazilian Hour Radio. 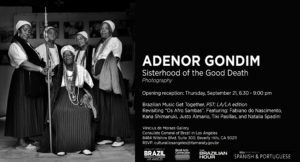 It’s with great enthusiasm that we present our upcoming Brazilian Music Get Together at the Consulate, featuring Rique Pantoja and Marcos Ariel on keyboard, and Justo Almario on reeds. A little background on why this will be a special evening. Lets start with Rique and Marcos. Two friends from Rio De Janeiro. Both had a very musical upbringing. Both became very accomplished professional musicians. However, they never performed together in concert – until now. Joining them is special guest Justo Almario. His multi-cultural life and experience becomes the bridge, the connection, that will create the musical alchemy that transcends borders. The three will perform together for the first time in what will undoubtedly be a very memorable night of instrumental music. 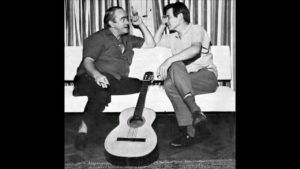 As we celebrate the 40th anniversary of the Brazilian Hour Radio, Marcos Ariel was the first independent artist to send his record, a vinyl LP, to the program. 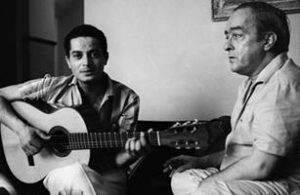 “Bambu,” arrived in the mail from Brazil and received many plays on the program. Rique Pantoja played with Milton Nacimento, came to Los Angeles to perform at the Greek Theater. At the time I decided to release his album on a record label I started at the time. It was a great experience and the confirmation of a great friendship. Justo has performed on my programs countless times and its truly a privilege to have him with us. Rique Pantoja is a composer, arranger, producer, songwriter and jazz pianist. 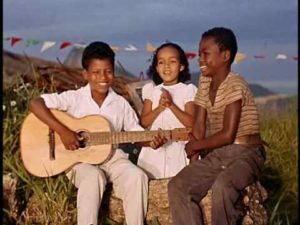 Growing up in Rio de Janeiro, Brazil, Rique Pantoja’s interest for music began with a family atmosphere that celebrated music. When he was 19, he moved to the United States to study at Berklee College of Music, and after three and a half years, he left for a professional opportunity. While in Boston, he was profoundly influenced by Charles Banacos, a renowned jazz pianist and teacher. He recalls how exciting it was to study music in a culture different from his own. After Berklee, his life as a professional musician took flight with a two-year period in Paris playing with important jazz musicians such as Chet Baker. Since then, he has performed on stage and in the recording studio with artists such as: Chet Baker, Carlos Santana, Brenda Russel, Lee Ritenour, Frank Gambale, Tommy Walker among many others. Marcos Ariel is in the forefront of contemporary Brazilian music with a bi-national career bridging Rio and Los Angeles. His musical style is purely “Carioca” (one who is a native of Rio de Janeiro) splashed with a passion for Classical and Jazz. His enthusiasm as a pianist, flutist and composer is inspiring. As a musician, he is swift and precise transcending genuine warmth that can only be Marcos Ariel. 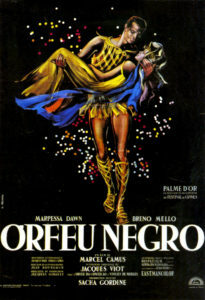 At a tender age of seven he began studying piano and by 1971 he was studying the flute in the School of Music of the Brazilian Symphonic Orchestra. 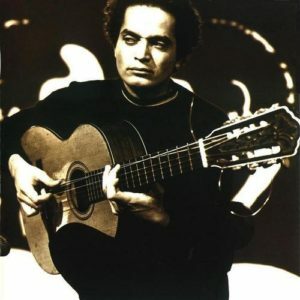 In 1986 Marcos released the album “Cenas Brasileiras” and was invited to perform at the FREE JAZZ FESTIVAL in São Paulo. Marcos Ariel opened up that evening for the world famous David Sanborn and Stanley Jordan. Justo Almario is a multitalented master saxophonist , flutist, clarinetist, composer, arranger and clinician, with a long list of distinguished accomplishments. 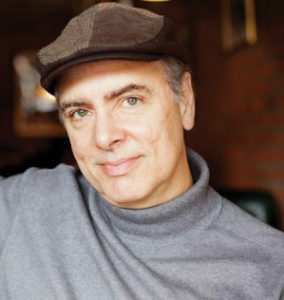 His style is a fusion of Jazz, South American genres, and other world rhythms which are a reflection of his own elegant style – signature sound of his former band, the legendary Weather Report. 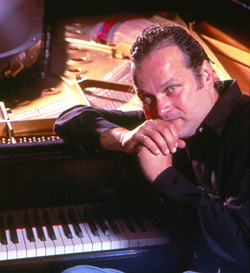 Justo’s mesmerizing sounds have been heard in Grammy-Award winning works such as Linda Ronstadt’s “Frenesi,” Placido Domingo’s “A Mi Alma Latina,” Luis Miguel’s “Romance,” Andrae Crouch’s “Mercy,” and Isreal Lopez Cachao’s “Master Sessions” & “Ahora Si;” as well as the Oscar-winning soundtracks from Happy Feet and Sideways. Justo Almario’s playing has been featured on diverse projects, such as Queen Latifah’s “Living Outloud,” Jennifer Lopez’s hit HBO Special “Let’s Get Loud,” Andy Garcia’s “The Lost City,” and John Turturo’s “Romance and Cigarette” staring Susan Sarandon and James Gadolfini. 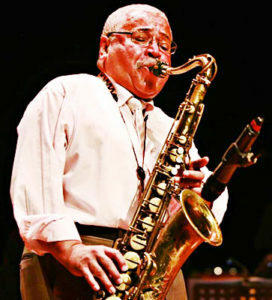 In 2002, while joining the ranks of Cedar Walton, Terrence Blanchard and Joe Lovano, Justo Almario became an integral part of the Newport Jazz Festival Tour, produced by George Wein. A native of Colombia, Mr. Almario went from child protégé to virtuoso. Justo Almario was primarily influenced by John Coltrane, Cannonball Adderly, Antonio Carlos Jobim, Bartok, Debussy and Bach. He studied at the prestigious Berklee College of Music before doing a stint with Mongo Santamaria as the band’s musical director. He has also taught at the Henry Mancini Institute and has mentored inner city youth during workshops at the World Stage. These days, he teaches saxophone in the Jazz Department at UCLA’s Music School. A native of Colombia, Justo Almario went from child protégé to virtuoso. Although he is extremely appreciative, this modest wind wizard frequently deflects any accolades, opting instead to thank folks for merely showing up and sharing. This is paramount to a keenly sensitive artist who warmly connects with his diverse audience on many levels and will continue to heal and inspire. Justo Almario’s music serves as a bridge that links backgrounds, cultures, ages, and socioeconomic status. His music transcends the mundane and leaves his audience transfixed. A devoted family man, Justo’s spiritual path nurtures both his creative journey and his warm compassion as a human being. 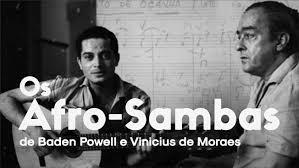 It is interesting to note that the opening theme of the Brazilian Hour titled Radio Samba was composed by Sergio Mielniczenko and arranged by Rique Pantoja with Rique on keyboards, Justo Almario on saxophone, Randy Tico on bass, Roberto Montero on guitar and Michael Shapiro on drums.